While the U.S. Army weighs whether to bring charges against Sgt. Bowe Bergdahl, who was freed earlier this year after spending nearly five years as a Taliban captive in Afghanistan, six of his former platoon mates are shopping proposals for a book and movie that would render their own harsh verdicts. A draft of their book proposal, a copy of which was obtained by Yahoo News, depicts Bergdahl as a "premeditated" deserter who "put all of our lives in danger" — and possibly aided the Taliban — when he disappeared from his observation post in eastern Afghanistan in the early morning hours of June 30, 2009. But the political furor over Bergdahl's release from Taliban captivity — the result of a U.S.-Taliban deal to swap five Guantanamo terrorism suspects in exchange for Bergdahl's freedom — is complicating the book's prospects. Agents for the soldiers say that some publishers have balked, in at least one case out of fear that the project would bolster conservative criticism of the Obama administration. "I'm not sure we can publish this book without the Right using it to their ends," Sarah Durand, a senior editor at Atria Books, a division of Simon & Schuster, wrote in an email to one of the soldiers' agents. Another complication is that Bergdahl's former platoon mates are all potential key witnesses in the Army's investigation into his 2009 disappearance. Two of the would-be authors, who were recently questioned as part of the Army probe, insisted in interviews that they aren't advancing a political agenda but want to set the record straight, as they see it, about Bergdahl's conduct and President Obama's praise for him at a Rose Garden ceremony in May. "There was no way we were going to sit down and be quiet while Obama was calling him a war hero," said Evan Buetow, Bergdahl's former team leader, in an interview with Yahoo News. "We're just trying to tell the truth. It's not my fault this would make Obama look bad." "We didn't politicize this," added Cody Full, Bergdahl's former roommate. "They brought his parents out at a White House Rose Garden ceremony and presented him as a hero. … Why wouldn't you just have a quiet press release? Why do you have to have a big parade? You don't do that for the parents who have kids who have died in Afghanistan." Bergdahl, who has returned to duty at Fort Sam Houston in San Antonio, was questioned for 11 hours last week in two closed-door sessions with Maj. Gen. Kenneth R. Dahl, who is leading the investigation into his disappearance. Dahl is preparing a report to the Pentagon, where commanders will decide what action, if any, to take against him. Eugene R. Fidell, Bergdahl's lawyer, declined to discuss the substance of his client's testimony, or the dark portrayal of his actions and motivations being advanced by his former Army colleagues. "I'm not commenting on a book proposal that I haven't seen," Fidell said. "We have made a decision not to try this case in the media. I think publishers will have to decide whether this has been hijacked for political purposes." Bettina Sofia Viviano, a Hollywood agent representing Bergdahl's fellow soldiers, said she is pitching the proposal to studios as an "action-adventure in the vein of 'Lone Survivor' or 'Saving Private Ryan.'" Asked about such a potential movie deal, Fidell added with a laugh: "I'll see them in Sundance. It's a free country." In setting up the interviews and preparing the book proposal, the soldiers have been advised by consulting firm Capitol Media Partners. A principal there, Richard Grenell, is a former Bush administration official at the United Nations who worked briefly as a national security spokesman for 2012 GOP presidential candidate Mitt Romney. 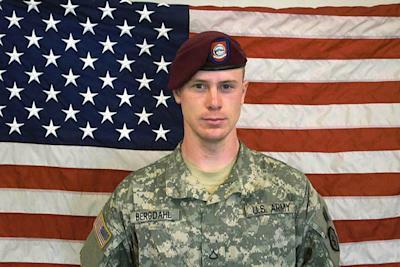 The connection has prompted critics to charge from the outset that the soldiers' critical depiction of Bergdahl has been tainted by politics. But Grenell said that his partner, Brad Chase, who happens to be a Democrat, has been handling the soldiers' account. Chase, in an email, wrote: "The firm's pro bono work on behalf of the soldiers that served with Bowe Bergdahl has nothing to do with politics, and everything to do with letting the public hear important first-hand accounts of Bergdahl's time in Afghanistan." One version of the book proposal that the soldiers have circulated (there have been at least two) acknowledges that Bergdahl was "likely tortured" during his five years in captivity and that his fate "haunted us daily." But Bergdahl's former colleagues portray him as an oddball and a "loner" filled with contradictions: Before disappearing, he had "seemed oddly excited to go to Afghanistan and fight the enemy." At one point, he "expressed his desire to kill a Taliban soldier and wear their [sic] face as a mask," the proposal states. 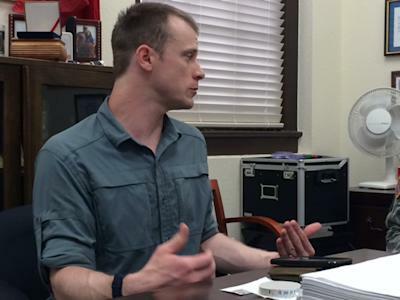 In the weeks before his departure, the soldiers write, Bergdahl's attitude changed: He started "to talk about what it would be like to just get lost in the mountains surrounding the outpost" and began studying the local languages, Pashto and Dari. He mailed his laptop, photos and other personal items home. When he disappeared, platoon members began a frantic search — code-named "Operation Yukon Recovery" — in difficult conditions and temperatures that often exceeded 100 degrees. They launched "air assaults on random locations" and tried to chase elusive pieces of intelligence — including reports that a "strange white man" matching Bergdahl's description had been seen "crawling in the reeds" just outside the base. But the two soldiers have already made up their minds about what they think should happen to Bergdahl. "I think he should be court-martialed," Buetow said. "What we know is he's a deserter."